Chompy Chomp Chomp is available on PC and Xbox Live Arcade and is the first project from developer Utopian World of Sandwiches. However, there's a new system set to join the picnic as the studio has confirmed it started development of a brand new version on Wii U last week. It's set to be called Chompy Chomp Chomp Party and the leap to Nintendo's system came when the team met with Karl Hilton, managing director of Crytek UK and one of the creators of the N64 classic GoldenEye 007, at Games Britannia in Sheffield, UK. Hilton agreed Nintendo would be a great fit for the plucky little Chompies, and after the event James Woodrow, creative director at Utopian World of Sandwiches, sent him an email that eventually resulted in the download title being lined up for a Wii U release. Karl did something really amazing that we weren't expecting at all and rang Nintendo on our behalf. They emailed us back straight away. At the time the Wii U was on the horizon and they didn’t have all the things in place for indies. And we wanted to see how the first Chompies was going to be received. So we kept in touch and waited. Utopian World of Sandwiches said the reception and love it has received for the game and the characters within it has been overwhelming and is hoping Wii U players will feel the same. As soon as the Wii U opened up to indies we had a meeting with the awesome guys at Nintendo Europe and we became registered Nintendo developers in August. 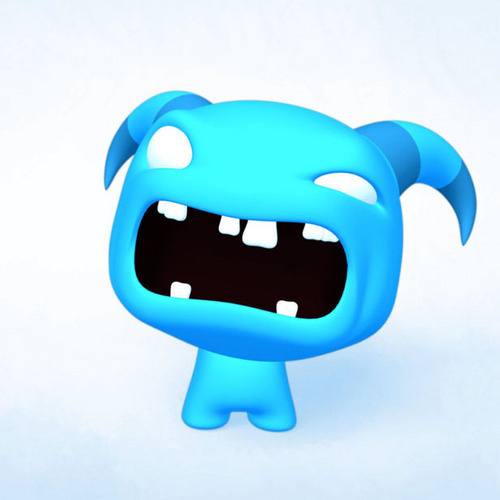 We are so excited to be bringing Chompy Chomp Chomp to Wii U! We dreamt of it but we didn't think it would actually happen! When we first made Chompies we had young families in mind and who is more family friendly than Nintendo?! 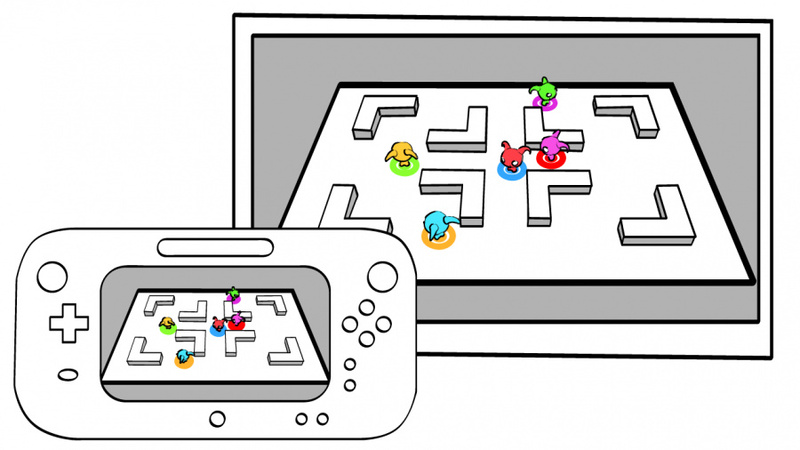 Chompy Chomp Chomp is a maze-based title where participants chase each other around trying to eat correctly coloured opponents. It's resonated well with multiplayer gamers so it's no surprise the developer has confirmed it will definitely support at least five players locally on Wii U.
Chompy Chomp Chomp Party will be made in Unity and will therefore be in 3D. It's scheduled to arrive in 2014. Below are a couple of screenshots from the developer. The first shows where it's up to after a week's worth of work, while the second is a concept sketch of what it will look like on Wii U. Based on the drawing, it appears off-TV will feature. What are your thoughts on this one? Are you looking forward to seeing it arrive on Wii U? Let us know in the comment section. 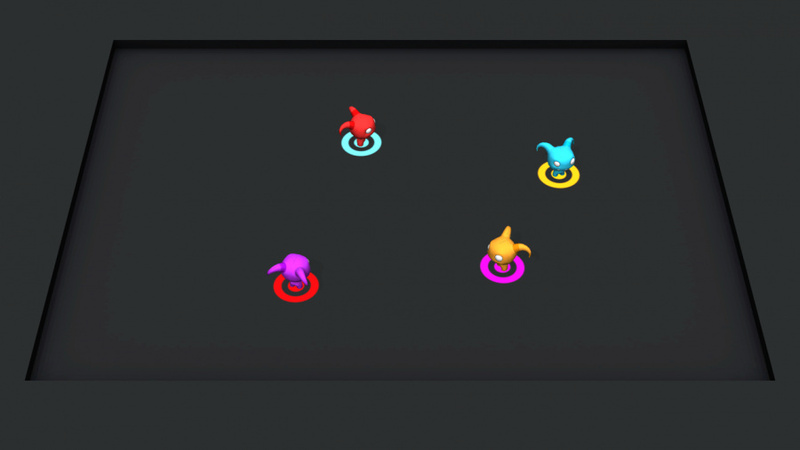 Looks interesting though, it looks like Pokemon Rumble U and Pac-Man and the gameplay sounds kind of cool but, could also get boring after a while of just eating each other but, I shouldn't judge yet and it's nice to know another game is coming to the Wii U! I hope it works out well and becomes a great game. I love it for that title alone. I keep reading it as Chompity chomp chomp. Not sure where the "ity" comes from, maybe an old Sat morning catoon character. Bumpity bump bump, humpity hump hump? I dont know, but its out there somewhere. On topic, this will be a good DL for people who buy their Wii U bundled w/ something other than Nintendo Land. Otherwise just play NL. Ooo this seems like a pretty cool and addicting 5 player game. If this game is as awesome as its title I'd get it. this game sounds awesome haha! 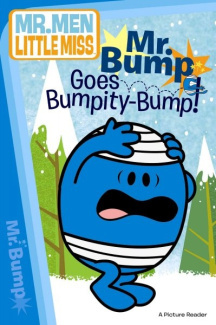 @rjejr Maybe its Mr. Bump Goes Bumpity-Bump you're thinking of? @WiiLovePeace - I've never heard of that, but that artwork reminded me where I know it from so thank you for that. Wow Wow Wubzy. My kids used to play this alot. Looks like a great concept but it's too early in development to say how it will turn out. Of course, coming from people with Goldeneye 007 on their résumé, one can hope for the best. The title is weird, though. Chompy Chomp Chomp Party or CCCP for short. Am I the only one seeing this?